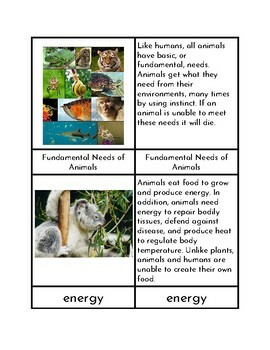 A set of three part cards used to teach students about the fundamental needs of animals. 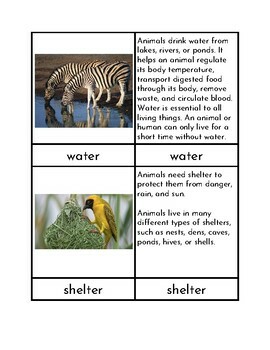 Card set includes a picture cards, word card, and description card for four fundamental needs: energy, water, shelter, and oxygen. 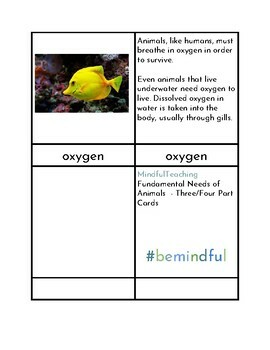 Cards should be printed on card stock, cut, and laminated for classroom use.